In 1971—two years after gay men, lesbians, drag queens, and gender non-conformists rioted during a police raid of the Stonewall Inn, a gay club in New York City—about 100 gay activists marched down Peachtree Street. That day marked one of the first pride parades in the country’s history. 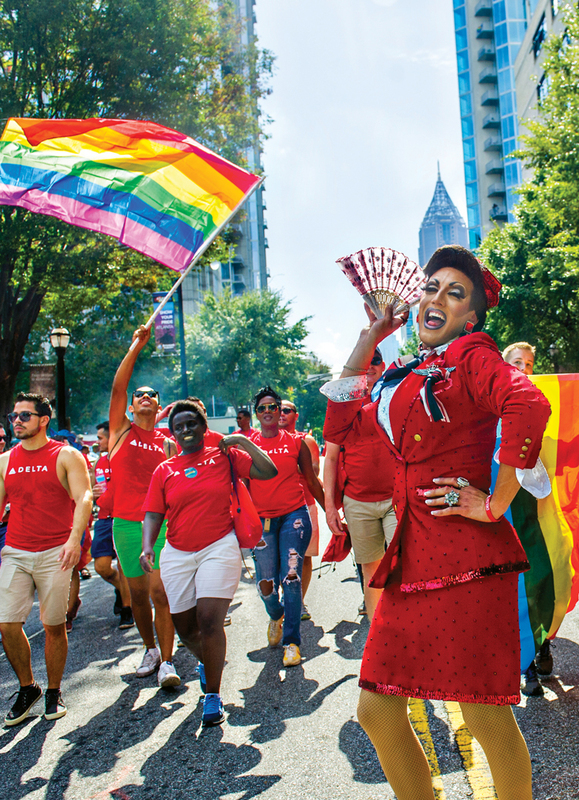 Since then the city’s LGBTQ community and the annual procession, now the largest parade in Atlanta, have been transformed. Today as many as 300,000 people attend the weeklong festival, making it the biggest LGBTQ gathering in the Southeast. This year, in addition to the parade, pridegoers will find a dyke march, a trans march, a family zone, a “gray pride” area for seniors, and a college and career fair.